Add unlimited custom contact forms to your site. Create custom fields by selecting the input type, validation, error messages and more. 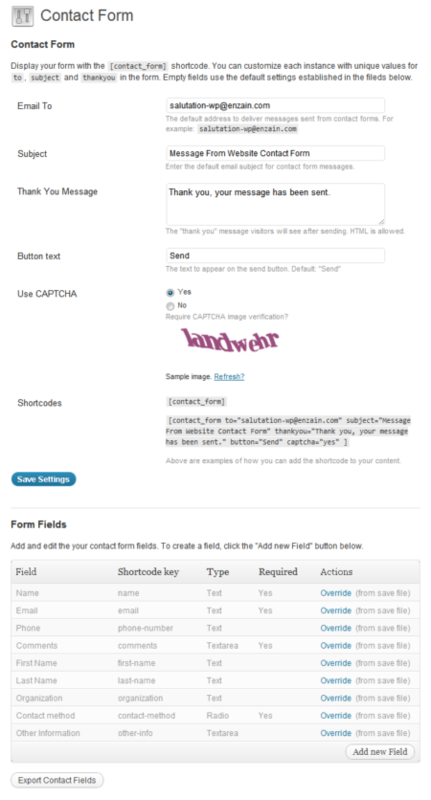 Includes CAPTCHA validation to provide a fully customized and safe email form. Validation options for each filed. Set minimum and maximum characters allowed for a field. Add description text below each field, great for providing additional instructions. Each time you create a new field you must specify an alias, or “key”, for that field. Using the alias name in the shortcode “fields” option you can include only the fields you choose from all available fields. A complete list of all shortcode parameters is available on the contact form shortcode page.